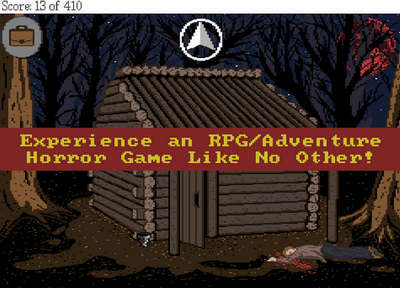 Dark Fear for Android is an old-school horror-adventure RPG with the occult and black arts as core theme. Explore the environments and experience a dark and twisted story filled with wells, dead bodies, and other objects to inspect. 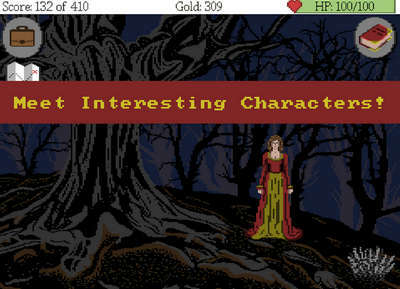 The game is a mix of horror, adventure, and also RPG with some turn-based battling. - Explore a diverse landscape filled with forests, mountains, lakes and deserts. Make allies in the local village, upgrade your weapon and armor, go hunting/fishing and fight your way to the truth by slaying your foes, solving puzzles and helping people with their problems. Better played on a tablet (but works fine on phones too)!